On May 25, 2015, Wolf volcano on Galápagos’ Isabela Island, the largest island chain, erupted spewing fire, smoke and lava. Thankfully, the eruption didn’t put at risk the animals on Isabela. I couldn’t imagine being on an island with an active volcano. My hair would singe. And let me tell you. It would not be a good look for me! Anyway…Check out these offbeat creatures found on the Galápagos Islands. Marine iguanas love the water. In fact, they’re the only sea-going lizard found in the world. The lizards spend time on land, except when they’re in the ocean looking for a meal. Curiously, during times of an El Niño-induced famine, the iguanas will shrink in size. But they grow as they find and eat more food. Rumor has it that Sally Lightfoot got her name from a Caribbean dancer but also because she’s agile and can jump from rock-to-rock. Sally can run in four directions and climb up vertical slopes, too. If you meet Sally Lightfoot, you’ll notice she looks like any other crab. Sally’s a key player in the Galápagos ecosystems because she eats just about anything, even other crabs. Yikes! Ask any iguana, and he or she will tell you that Sally Lightfoot keeps them tick-free. Imagine meeting the creatures of the Galápagos Islands. If you have a fear of reptiles, conquer it by meeting the variety of iguanas found throughout the area. I recommend you book a cruise with Un-Cruise Adventures because they offer small ship adventure and river cruises. 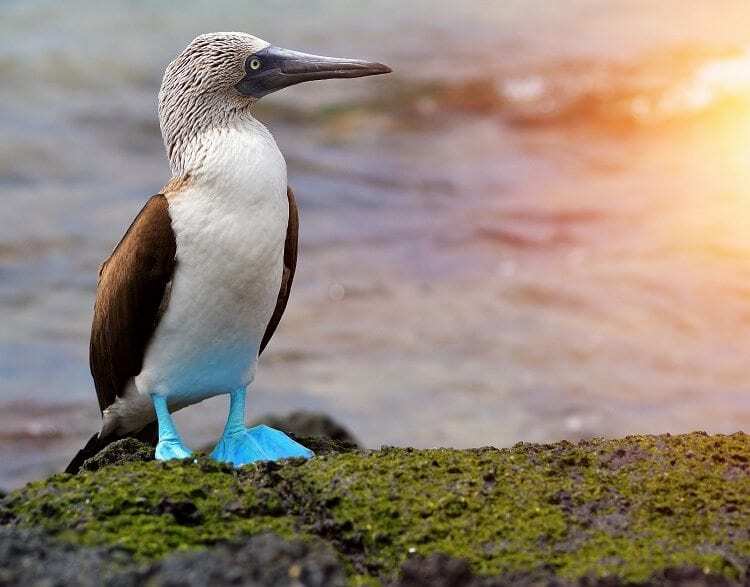 You’ll get up close with the wilderness of the Galápagos!